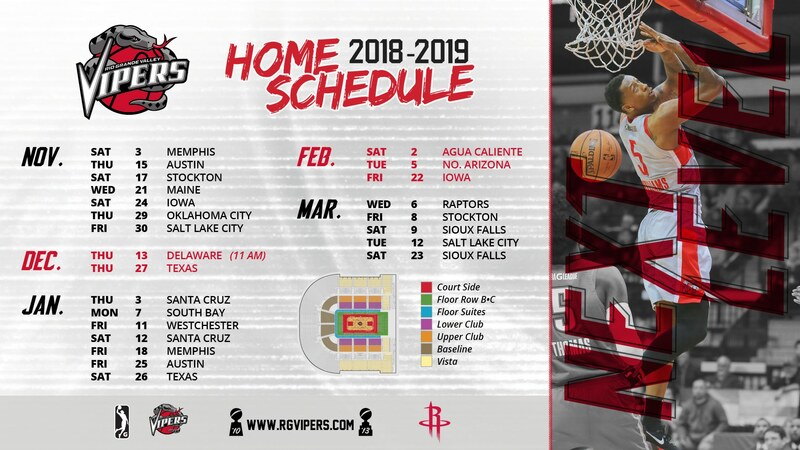 Houston Rockets Call-Up Danuel House Jr.
EDINBURG, Texas (November 26, 2018) – Houston Rockets General Manager Daryl Morey announced today that they have called up forward Danuel House Jr. from their single-affiliation NBA G League partner, Rio Grande Valley Vipers. House was called up to Phoenix Suns last December 8, 2017. House Jr. (6-7, 215) appeared in seven games for Rio Grande Valley during the 2018-19 campaign. He tallied 32.8 minutes on the court and scored a team leading average of 20.4 points per game. House Jr. displayed an 87.2% accuracy from the free throw line for the Vipers. House Jr. also participated in the 2017-18 season with the Vipers organization, starting 11 games. The wing/forward racked up an average of 31.3 minutes on the hardwood and scored 17.5 points per game. In 2017-18, House Jr. had a stint in the NBA with the Phoenix Suns where he appeared in 23 games with three starts. As a member of the Suns he averaged 17.5 minutes, scored 6.6 points per game and shot 43.4% from the floor. Prior to this season, House Jr. started all five games for the Rockets in the 2018 NBA Summer League in Las Vegas. In 49 career G League games, House Jr. has averaged 2.6 3-pointers made on 38.2% shooting.